When working on your on-page SEO, it’s essential to optimise the non-text elements on every web page as well as the copy and meta data. From an SEO perspective, search engines have become pretty sophisticated when it comes to understanding the meaning of text on a page. However, they’re less able to identify other forms of content. Optimising non-text elements helps to show search engines how all the different elements of a page fit together. Another vital reason to optimise the non-text elements of your web pages is accessibility. There are many web users who are visually impaired or have other disabilities that may make it hard to decipher the different elements on the screen. These people use screen readers to hear the content read out loud. Non-text elements that haven’t been tagged appropriately – or at all – can confuse and damage the user experience. But what do you need to do to optimise the text elements of your website for accessibility and SEO? One of the most effective things you can do to is to add ‘alternative (alt) attributes’ to any non-text elements on every page of your website. Alt attributes refer to text that is used to tell search bots what a non-text element is or what it points to if it links to another web page. People sometimes refer to alt attributes as ‘alt tags’ but ‘alt tags’ are just one type of alt attribute. ‘Image title tags’ are alt attributes too – you can read more about Alt tags vs. Image title tags here. If we start by thinking about the images on your website, each one should have an alt tag. This is text that appears inside the image container when an image can’t be displayed, or when screen readers or search engines are looking at an image. Keep your alt tags short – If you have a lot to say about an image, perhaps because it’s important for people to have a full description within the context of the article in which it appears, then it’s usually better to add a caption or provide a paragraph of copy featuring the description below the image. Aim for alt tags of 125 characters or less – Apparently, some screen readers struggle with alt tags that are longer than this. Make sure the alt tag accurately communicates what the non–text element is – Be concise but descriptive, and make sure that you write for people, not search engines. It’s OK to use your focus keyword but do it in a natural way. Ensure that every image has an alt tag – If you have a text link next to an image link and they both go to the same URL, you might decide to give the image an alt=”” tag to say that the alt text is null. This will stop a screen reader from repeating the link. Equally, decorative background images such as clouds or patterns don’t need a descriptive alt tag because they don’t add to the meaning of the page. They should still be marked as alt=”” for search engines and screen readers to understand that they can ignore these images. Keyword stuff – Many businesses use alt tags as a place to hide a list of keywords or keyword-rich copy, but imagine how boring and unhelpful it must be for a person using a screen reader to listen to this. Keyword stuffing your alt tags is definitely a black hat practice. Use the same copy for your alt tag as that around the image – If you plan to add a caption or image title tag to a non-text element (see below), you should ensure that they are each unique rather than repeating the same phrase in three different places. Again, this is to provide a good experience for people using screen readers to access the content. Say ‘Image of…’, ‘Graphic of…’ or ‘Link to….’ in an alt tag – You should always avoid using phrases like these in your alt tags. Going back to my earlier example of adding an alt tag to an image of me, it is enough for the tag to say ‘Hazel Jarrett’ or even ‘Hazel Jarrett, SEO+’ without needing to state, ‘Image of Hazel Jarrett’. When trying to decipher the different elements on a web page, search engines break the content into segments. In doing this, they look at text that’s in close proximity to non-text elements to see if the text provides a clue as to what the non-text element is about. This means that adding captions to your images in another effective way to optimise your web pages. Captions are great for providing context and extra snippets of information that may not sit within the flow of an article but are relevant to the topic nonetheless. It’s helpful to signpost what you’re captioning by saying, Figure 1: <Insert caption>, Photo above: <Insert caption> or Header image: <Insert caption> as examples. This again helps to give search engines and screen readers a context for the text and how it relates to a nearby image. As we mentioned above, an ‘Image Title Tag’ is a different HTML alt attribute to ‘Alt Text’; it’s a title that appears when you hover your mouse pointer over an image. If you check out a past article from Moz about optimising images for search engines, you’ll see that each of the images has an Image Title Tag. Adding Image Title Tags can offer an extra layer of optimisation for non-text elements. If you do decide to use Image Title Tags in addition to Alt Text, ensure that they each use different wording so that a screen reader doesn’t read out duplicate tags. The same goes for your captions! Infographics experts, Venngage, recently updated their Visual Marketing Statistics Survey of 300 online marketers and found that 40% of respondents rated Infographics as the best visual elements for engagement. Knowing this, it’s easy to see why infographics are widely used and a valuable commodity to any business. But how do you make ensure that an infographic is as valuable to your SEO efforts? Make sure that you give your infographic a descriptive file name such as ‘Local SEO infographic.jpg’ rather than a generic name. Give your infographic a short, descriptive alt tag (as described above for other images). You can create a long text alternative to your website using the longdesc attribute. This is an HTML tag that provides a link to a separate page where people can view a text description of the infographic. However, longdesc is poorly supported by some screen readers and the tag may only be visible to a small selection of your website visitors, meaning the infographic is not accessible to everyone. One option to overcome this is to create a text alternative of the infographic that sits below the image itself. If you do this, it’s helpful to add a heading such as ‘Text alternative of infographic’. Many website visitors prefer this approach because it means they don’t have to navigate through multiple pages to understand an infographic. Otherwise, you could link to a different page where the text description of the infographic can be found. If you choose to do the latter, you should use meaningful anchor text such as ‘Text alternative for local SEO infographic’ – this will help search engines and screen readers understand the context of the destination page. If you do decide to direct people to a separate page featuring a transcript/description of the infographic, you should think about whether you want to optimise the original page or the transcript page for your chosen keyword/phrase. Optimise both and they could be in competition with one another in results pages. You could also use what’s known as the aria-describedby attribute to describe your infographic. This is an alternative to the longdesc attribute that is better supported by screen readers. You can read more about how to implement the aria-describedby attribute here. A different but effective method is to create the infographic in HTML/CSS. This means that search engines and screen readers will see the text on your infographic as ‘real text’ rather than as an image. If you do use HTML/CSS to create an infographic, it’s important to consider the reading order and headings, and you should test the infographic across browsers and different assistive technologies. One benefit of HTML/CSS infographics is that they can be magnified without becoming pixelated. It’s not just infographics that may present text on a website in the form of an image file. 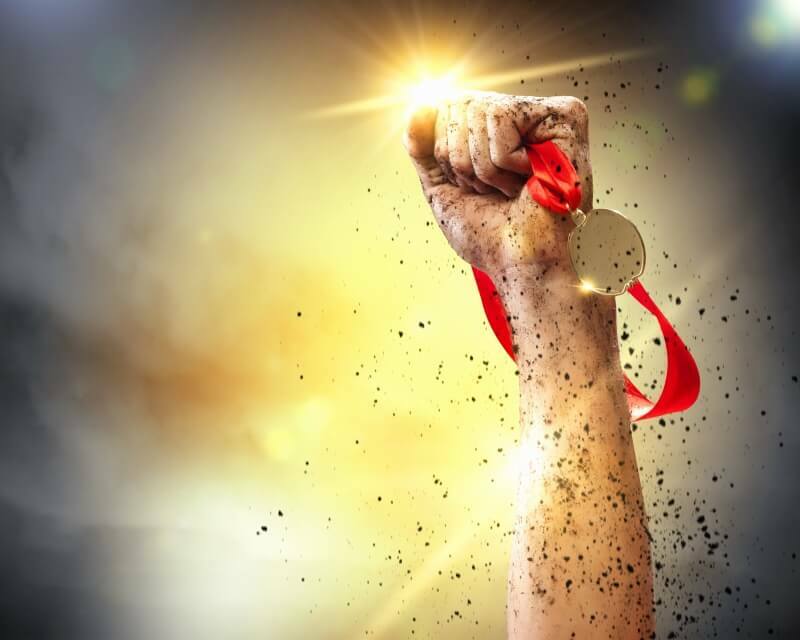 Inspirational memes and website headers often feature a hero image with overlaid text, but may be impossible for search engines and screen readers to decipher. If you must use text as an image for any reason – a meme is the most common example that springs to mind – it’s advisable to use the text that’s on the image as the alt tag. In the image below, for example, it would be helpful to make the alt tag: The power of the web is in its universality. Quote by Tim Berners-Lee. Alternatively, you could add the quote in text above or below the image (this is an effective strategy when posting memes on Facebook too). Many of your web pages may feature functional buttons with calls to action. This could be ‘Buy now’, ‘Add to basket’, ‘Read more’, or ‘Sign up to newsletter’. Search engines and screen readers will see these buttons as images. If you do have a functional image like this – one that only contains text – it is advisable to use the text that’s on the button/image as the alt text. As we saw in our introduction, there are many other file types that present as non-text elements on a web page. Google recommends using a video sitemap to give search engines and screen readers information about videos on your website. Another suggestion is that you offer transcripts of your videos so that the content is accessible to search engines and screen readers. We found a great article over on Wordstream about video SEO that you may find helpful. We’ve talked in a past blog about the advantages of using Schema Markup; this is a ‘micro-formatting’ code that helps search engines understand the structure and non-text elements of a web page and even gives context to text elements such as reviews or recipes. Schema includes code that you can apply to videos, audio files, images and other non-text elements on any web page to tell search engines what they are seeing. Visit schema.org to find out more. If you’re not sure whether the non-text elements on your website have been optimised, it’s worth using a free screen reader program (see the Resources section below) to see how it views the page. You can also see how Googlebots view your website by using a choice of free or low-cost services (see below). The key is to ask yourself, does a non-text element present content such as an image that’s being used to add information to an article? Or does it have a functional purpose such as a clickable button that goes through to a checkout? Once you identify the purpose of a non-text element, you can decide on the best approach to optimise it. Non-text elements are a vital part of any web page and should be part of your on-page SEO strategy – they add interest and diversity, and can help to increase engagement. 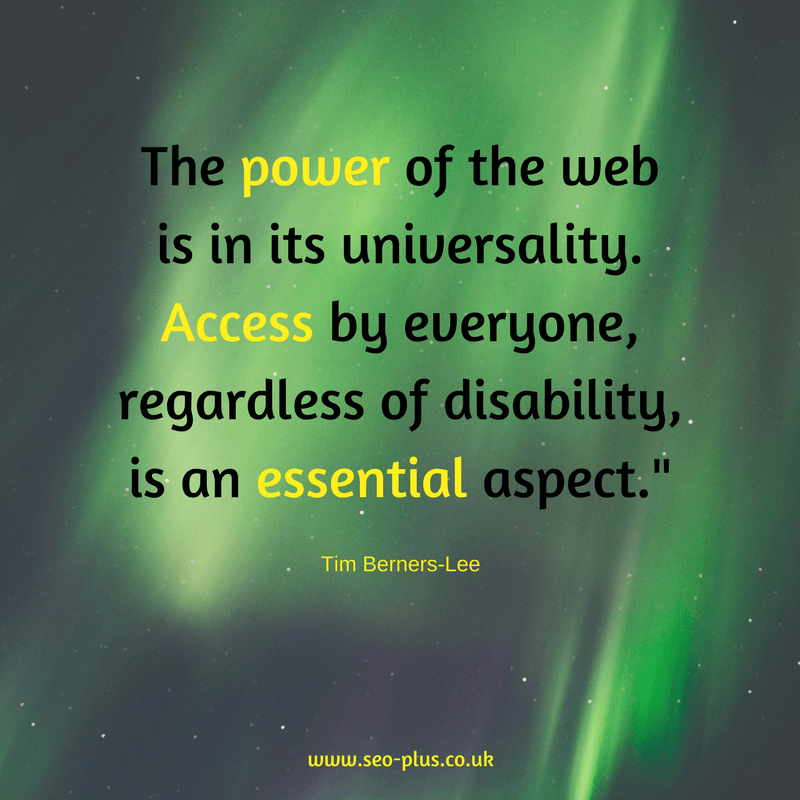 Accessibility for ALL website visitors and search engines needs to be a priority for every website. As with most aspects of SEO, if you create with your potential customers in mind, you will have a site that Google values too. And the better the user experience, the better it will be for your rankings. 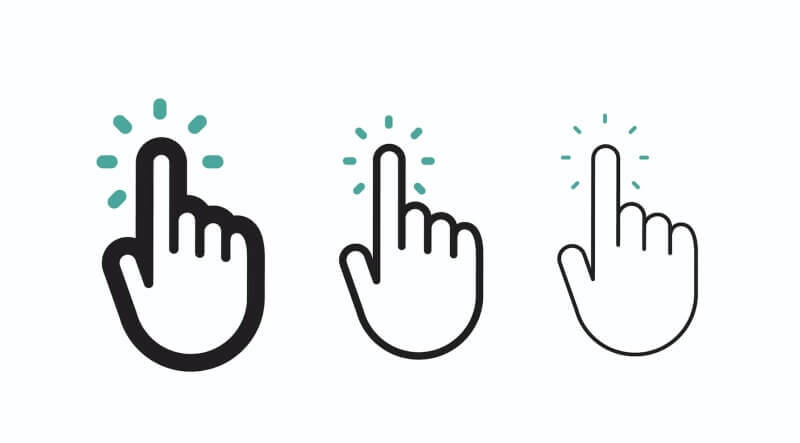 Want to learn more about website accessibility? There is some fantastic information about alt text and more at WebAIM. Do you publish content without a strategy in place? Do you hope that the content you create will simply work its magic and generate traffic? These blogging tips for beginners are for you! Many businesses, and not just new ones, are guilty of publishing content without a strategy in place. This approach to blogging relies on hope and means that your blog won’t achieve the goals you have set out for it. It is no secret that you need a well-thought-out strategy for your blog. One that not only incorporates your blogging schedule, topics, and keywords but also tools for monitoring and analyzing how the blog fairs. Blogging has a lot of trials and tests so you need to measure what works and what doesn’t. This will give you a strategy that gets results. A comprehensive strategy will outline your road to business blogging for years to come. But at the same time will adapt to changes based on analytics. We have some blogging tips for you to integrate within your strategy to make your blogs much more effective. While it is important to consistently post on your business blog, you don’t want to compromise quality for quantity. Publishing a quality post once a week or once every couple of weeks will be far more engaging than posting sub-par content every other day. The volume of content won’t satisfy your audience, the information you provide within it will. Quality content matters. Share valuable and insightful information that will enhance your audience’s business. Use guides, whitepapers, and case studies to your advantage and have a blend of short and long form content. You are probably aware of the importance of citing content that you get from authoritative sites. Not only does it add references but also helps enhance the page authority of your blog. Both of which are important for SEO purposes. However, when hyperlinking, most businesses don’t consider that when the link is clicked, visitors will be directed away from their website to the third-party website. To ensure this doesn’t happen, when you do add a link, be sure to select the option to “open link in a new tab” when the link is clicked. This way the crawl rate on your website remains high and visitors can also read from your source. No blogger will outright tell you that they use ghostwriters from time to time. However, even the most influential businesses and individuals do. The truth is, there will come a time when you as a writer will experience burnout. No matter how interested and knowledgable you are on a topic, there will come a point when you get tired of writing about it. But you can’t let your blog suffer due to that. By outsourcing your content, you ensure that your audience continues to get the type of content they are after. For your business blog to be effective, you need to know the basics of blogging, such as how to market the blog, the importance of SEO within the blog, and which platform you should choose for your blogging website. For a successful blog, follow the blogging commandments in the infographic below and get the results you have set out for, whether it is to generate leads, readership, or convert sales. Your business blog will only be as effective as the effort you put towards it. It starts with your strategy and goes down to each and every post you produce. The process doesn’t happen overnight, it will take time, but with commitment and the right team in place, you will experience a growth in the amount of traffic your website receives and by using a call-to-action your blog will generate leads for your business. I hope you’ve found these blogging tips for beginners helpful. If you have please can you use the social buttons below to spread the word? It only takes a second but it means a lot. Thank you! Looking for ways to improve your rankings and click-through rates on Google? Featured snippets could be your answer. A featured snippet is the short window that presents a relevant answer – or part of an answer – to a search query at the top of page one of a Google search. It’s different to a usual search result because it features an excerpt from the text of a website before the web link rather than the usual link-first and meta description format of search listings. Sometimes, you’ll see the snippets referred to as ‘Instant Answers’, ‘Position Zero’ or ‘Answer Boxes’ because – you guessed it – the answer is in a box! In this guide, we’ll look at how, when, where and why featured snippets are used. 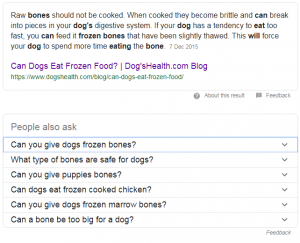 Why does Google use featured snippets? More and more people are searching via their mobile devices while they’re on the move. 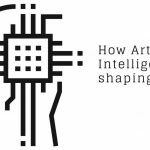 They’re also using voice searches through virtual assistants such as Google Home or Alexa. Think about how you make mobile or voice searches yourself. You might be looking for a local café because you’re killing time in an unfamiliar area or perhaps you’re unpacking your shopping and want to check, “Can dogs eat blueberries?” because your canine friend is sniffing around for a treat. In each example, the searcher would want a quick answer. A list of 10+ search results with hyperlinks isn’t always the most appropriate way to deliver information in these scenarios. This way of searching demands immediate, precise answers. 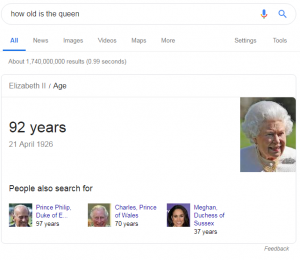 Featured snippets are designed to make Google more user-oriented, giving an instant and relevant answer to a question on page one of the SERPs. Sometimes searchers don’t need to look any further because the featured snippet tells them everything they wanted to know. In case the searcher does want to know more, the featured snippet includes a link to the source website. You won’t see a featured snippet in response to every search but they are more likely to show up in response to questions – think who, what, when, why, where and how – or searches that imply a question. Featured snippets vs Quick Answers: What’s the difference? Featured snippets sometimes get confused with ‘Quick answers’, which is another Google search feature that appears at the top of listings in a box. The difference is that a Quick Answer won’t include a link back to a source website containing more information. Featured snippets offer something more because they enable you to read deeper into your search on the source site. Featured snippets matter to marketers because they gain more traffic than almost any other link on the search results page! A case study by Search Engine Land saw one of their clients grow traffic to a key landing page by 516% after acquiring a featured snippet in Google. At the same time, click-through rates grew from 2% to 8% in the four months after the featured snippet appeared. Stats from other sources back this up. A featured snippets study by Ahrefs found that so-called Position Zero attracts 8.6% of clicks on page one of Google, effectively stealing these clicks from position one, which drops from a 26% share of all clicks to a 19.6% share when a featured snippet is present. Featured snippets aren’t solely taken from the highest ranking website on page one, although they will usually come from the top ten listings. This is because Google looks for readability, clarity and brevity when selecting content for snippets. If the content you have written is the most relevant and easy to understand above any other website on the list, then Google will select yours above the rest. This is a great way to boost visibility and attract clicks even if you don’t have the top ranking. It’s worth noting that Google is constantly tweaking and refining the featured snippets display. If, for example, your search could have two or more correct answers, you might see two featured snippet boxes side-by-side. Google gives the example of someone searching for ‘How to set up call forwarding’ as the answer will depend on your phone provider. If one of the ‘People also ask’ options would be more relevant to your search, you can click on that option to see more. How can you make your content suitable for a featured snippet? You need to present you content as simply and clearly as possible to make it worthy of a featured snippet. If the query is of a “How to” nature, then the content on your website must present the right answer in a concise yet informative paragraph or bullet points. Searchers are looking for the most relevant and easy answers in the least amount of time and effort. If you can provide such content, then you will stand a higher chance of your content being featured. As we’ve mentioned above, Google’s Featured Snippets are mainly hosted for search queries in a question format. They will have the words “who”, “why”, “what,” “where,” “when,” or “how” at the start of a sentence. The next time you’re searching for topics for your blog, watch out for keywords that present you with an opportunity to present your content as an answer to a question. 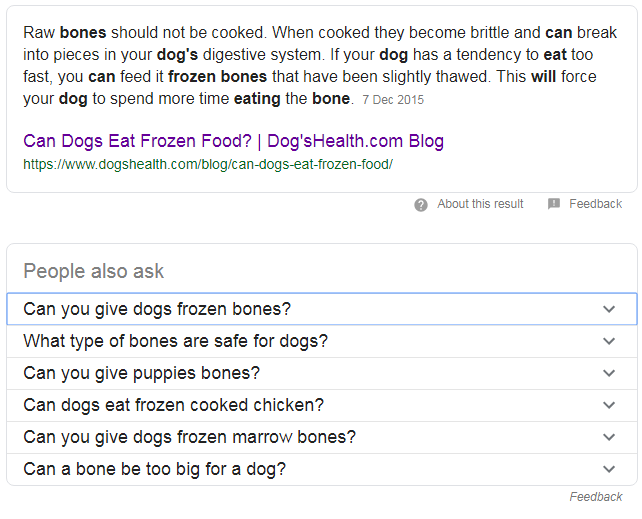 The ‘People also ask’ feature we mentioned above is a good source of questions you could answer in your content. Look out for the ‘Searches related to…’ feature at the bottom of page one of Google when you make a search too as this will give you a list of search terms related to your topic. You should make sure that the answer is in short sentences. A good tactic is to encapsulate the key points and information in the opening paragraph of an online article and then go into more depth. Think about the style journalists and news reporters use to precis a story as a way to capture attention. Readers get the gist of the content before they’ve read the article in full. According to research by Ahrefs, 99.58% of featured snippets are taken from the first ten Google search results (only 30% come from position one), so you need to prioritise ranking on page one in searches. Having your site optimised for Google will do wonders for your traffic with or without snippets. This is because users don’t generally look for answers to their queries beyond the first results page. Having your website ranking on the first results page will increase your chances of getting your content ranked exponentially. A good starting point is our on-page SEO – check out our complete guide for lots of actionable advice. Hubspot recommends that the search query for which you want to have a Featured Snippet should appear in a header on the source page and include a header tag (h2, h3, h4, etc.). In their research, they also found that it was best to ensure that there is a <p> tag (specifying a paragraph of text) around the content you want to appear as a featured snippet. If you are going to present your answer in a large paragraph then you’re killing your chances to get featured in Position Zero. Google looks for short and easy paragraphs, bullet points or tables to be featured as a snippet – the format Google likes will depend on what makes most sense for the end user. Redesign or condense your content into a format that’s easier on the eyes and presents the information in the most logical, easy to digest way. Again, this can be a deciding factor on which content Google curates for the snippet. Google says that, on a typical day, 15% of search queries have never been asked before. This makes providing an accurate response challenging. In 2017, Google received what it called ‘deserved criticism’ about featured snippets that said things like “Women are evil” or that President Obama was planning a coup. People had been able to get their low-quality and sometimes offensive content shared, particularly for ‘rare and fringe’ queries. Google is taking on-going steps to prevent this by prioritising content that is known to demonstrate expertise, authority and trustworthiness (EAT). The more you can build the domain and page authorities of your site, the greater chance you have of getting your content featured in a snippet. If the user has already got the answer to their query from your snippet, surely they won’t need to visit your website? This is one of the biggest concerns people have about featured snippets and something Google’s Public Liaison, Danny Sullivan says they were aware of when launching the snippets in 2014. Experience suggests these fears are largely unfounded and that, as we discussed above, featured snippets drive a significant amount of traffic to their source. In fact, one study by Hubspot that the click-through rate for high ranking keywords increased by 114%, even when a page already occupied position one on Google. Of course, it’s still best not to leave things to chance. The next step towards securing those all-important click-throughs is structuring your content right. When you’re structuring content, give a brief explanation of the answer in one or two lines but in such a way that doesn’t give the whole answer. Your aim should be to induce curiosity. It answers the question enough to give a definition but leaves enough questions to encourage the searcher to read deeper into the topic. Reading the snippet must make the user understand that your website will provide the answer if he/she clicks the link. This is your best method to generate traffic as people will click through to your website because the snippet has given them the assurance they need that you have the answer. Want to know the best trending topics to tackle? Use the Google’s search bar as a keyword suggestion tool. People will always raise new questions whether it’s about tech, fashion, food or anything that triggers their mind. Enter phrases like “How to” or “Why does” etc. in the search bar and wait for Google to autocomplete it. There lie the trending questions on the internet. From there, the whole process begins with content creation. If you want to stay relevant and popular, you should cater to these questions as soon as they come. Another way to know what’s trending around you is using social media sites like Facebook and Twitter to know what people are talking about. People are always sharing their queries and doubts on these sites for you to explore. If you already have a blog or a website with existing content, then it’s more efficient that you start with the high ranking content. That way you have already saved time on SEO optimization. Use the Google search bar as a keyword suggestion tool. People will always raise new questions whether it’s about tech, fashion, food or anything that pops into mind. If you already have a blog or a website with existing content, then it’s more efficient that you start with the high ranking content. That way you have already saved time on SEO optimisation. A quick look at Google Analytics and Google Search Console should highlight your best performing pages. Think about how you can restructure them to include a featured snippet. Does using Schema Markup give a page a better chance of being listed with a featured snippet? Surprisingly, research has shown that Schema Markup isn’t necessary to get text in an article listed as a featured snippet. That being said, it is still useful for helping Google to understand things like event listings or recipes for the purpose of highlighting them in searches. Prepare content for the latest and trending questions. Structure the content in easy to understand format. Use SEO to rank high on the results page. The writing style should not give away the complete answer. There it is, the ultimate guide on Google’s featured snippets and how to get your content featured in it. Always remember that everything revolves around the quality of the content you present. If readers can understand what you’ve written in one quick read, then you’re all set to have your content adorn the results page of Google in no time! 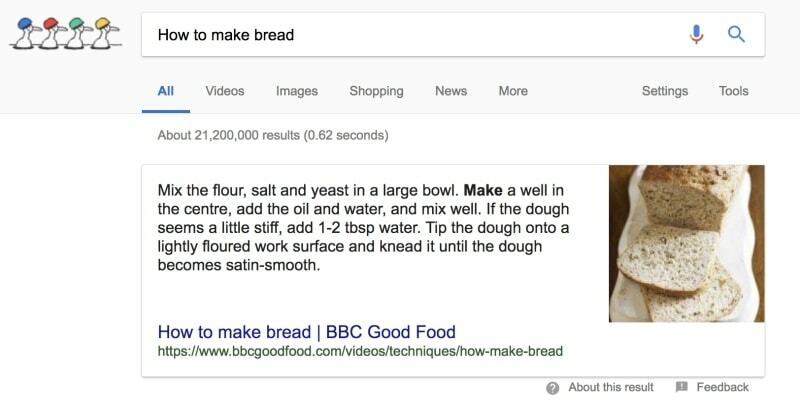 Do you want your content to appear in Google’s featured snippets? Has this article inspired you to make that happen? If you found this article helpful, we’d love it if you could share it – thank you. 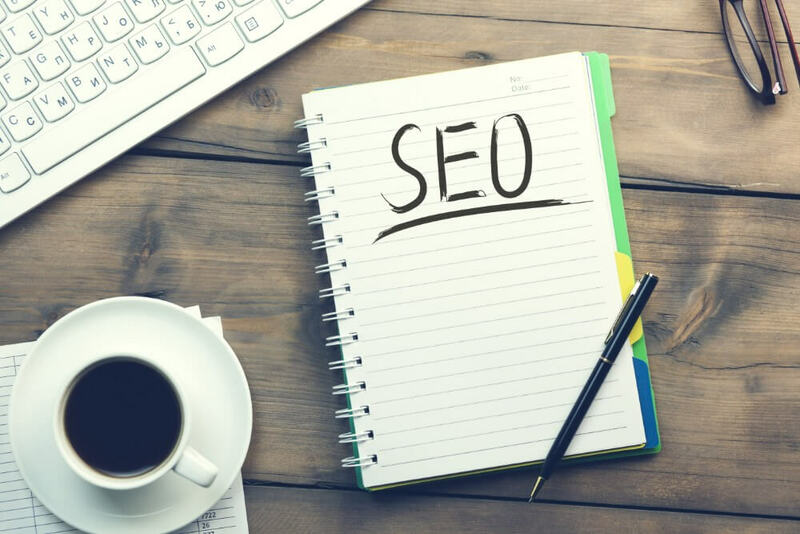 Getting your on-page SEO right is a fundamental part of organic search engine optimisation (SEO) and essential to secure high Google rankings. To help you get to grips with the on-page factors that matter, we’ve put together a complete guide to the on-page SEO basics below. On-page SEO is the process of optimising different elements on a web page to give it the best possible chance of being indexed by Google and ranked highly in searches made by your target audience. How does on-page SEO differ from off-page or technical SEO? Off-page SEO is concerned with actions that can be taken outside of your website to improve the rankings of your web pages. 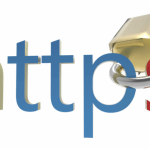 Many people would say that off-page SEO is entirely about attracting backlinks from third party websites. Yes, backlinks are at the heart of a successful off-page SEO strategy but you can also build reputation and trust in your content through off-page activities such as social media marketing, guest blogging, influencer marketing and brand mentions (even if they don’t link back to your site). There is some crossover between on-page SEO and technical SEO but the latter specifically focuses on making web pages as easy for search engines to crawl and index as possible. Good technical SEO also enhances the user experience by making sure pages load quickly and everything works as it should. Do you want page one ranking on Google? If you do, on-page SEO matters. We know that Google’s search algorithm uses approximately 200 signals/factors to decide where to rank a web page on a search engine results page (SERP). Some of these factors count on a page level, some on a domain level and some are completely outside of your control, e.g. Google giving some preference to big brands for certain keywords. On-page SEO is something that is within your own hands to implement, monitor and improve. Read on, and, should you have any questions about how you can put this information to work on your website, drop a comment below the article or get in touch – at SEO+, we are always happy to help. Follow the steps below on each of your web pages to properly optimise the on-page elements. If you have a large website, you might want to pick your most important 10 to 20 pages to start off with. You can then measure how the changes you make effect your web traffic and decide if elements of the page need tweaking further down the line. When someone does a search on Google, they want to be taken to a web page that meets the needs of that particular search. For example, you’ve come here because you want to understand more about on-page SEO so that’s what this page is about. This means that the strongest web pages, both for readers and in terms of SEO, are those that have a single focus. If you know EXACTLY what a web page should be about, it helps you to keep the content super relevant. It also means that you can explore a topic in greater depth than if you were trying to cover lots of different subjects at once. Plus, if you have lots of different pages covering the same topic and competing for traffic for the same keywords, you risk diluting your SEO efforts and not having any page rank well for your target keywords. This is what people mean when they talk about splitting the link juice from a keyword across two or more pages. It’s been a number of years since Google dropped keyword tags as a ranking factor. 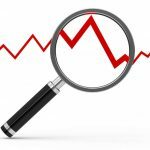 It’s also becoming harder to track the performance of keywords because search engines are increasingly able to personalise searches. They do this by considering factors such as the searcher’s location and their previous search history. Although keyword research is still important, our advice is to focus on the topics that matter to your customers. What would someone search for to find a topic? That’s your springboard. Your website will ALWAYS rank higher if it’s full of useful, relevant, UNIQUE content that’s been written to create a great user experience first, and satisfy Google second. This is because Google wants to know that, if it sends people to your site, they’re going to find information that’s useful and valuable to them, and that they’re sticking around to read it and even go deeper into your site to find out more. Well-written, well-researched and unique content that’s genuinely useful to your audience kills two birds with one stone because it gives visitors what they were looking for and lowers bounce rates while increasing dwell time. Write in a natural way– Yes, keywords are still important (see above) but search engines are rapidly evolving to be able to understand natural language. Being able to write like you would speak to your customers is a fantastic way to develop a tone of voice for your brand; it’s engaging, readable and builds trust, which is so important to current SEO. Check your spelling and grammar – Subconsciously, potential customers often judge businesses that have a poorly written website. Grammatical errors and spelling mistakes suggest that you may not pay attention to detail or care about presenting a professional operation. Also, Google will find it harder to crawl pages where the content is unclear because of errors. Blog on a regular basis – Google will reward you for keeping your site updated with fresh, relevant content. In addition, you get more and more chances to rank for a variety of keywords. Blogging is also a fantastic way to show your audience that you know your stuff – this builds your reputation as an expert, which attracts mentions, backlinks and trust. Tackle your topic in-depth – Although you may have been told to keep your content bite-sized in the past, Google actually seems to prefer longer, in-depth copy. Various studies have shown that the highest ranked pages contain approximately 2,500 words on average. Many are longer. Long-form content gives you the opportunity to provide truly useful information and is more likely to attract backlinks from third party sites. Google is a business and its goal is provide its customers with the most relevant, useful search results as well as a great user experience. It’s the user experience that should always be front of mind when working on your on-page SEO and creating or updating your web pages. Is the content (and the page it’s on) usable? Is the answer to the searcher’s query easily findable on the page? Is the content well-researched and credible? Is the content and the experience of viewing it desirable? Is the content valuable to the reader? These seven characteristics are at the heart of a great user experience. They can be influenced by everything from the design of your website, the calls to actions you use, the font, images, writing style, punctuation and grammar, right through to your social media presence, professional reputation, guest blogs and more. The title tag is the title of a web page as it appears in SERPs. It’s also visible on the tab above the address bar when a web page is open. As you can see from the picture above, if you can’t see a title tag in full, you can hover your mouse pointer over it and the entire title will appear. The Title tag is there to give web visitors and search engines an insight into what a page is about. As well as influencing how your page is ranked, it will also affect click through rates (CTR) – i.e. the percentage of people who see the page in SERPs and click through to it on your site – depending on whether or not it meets a searcher’s needs and captures their interest. The meta description is a short piece of text that describes the content of a page in SERPs. This helps people to decide whether the page is likely to answer their search query. Whilst search engines no longer use Meta Descriptions as a ranking signal, the words you write remain crucial because they influence your CTR from the SERPs. The main heading or title on a web page is potentially the most important piece of copy on the entire page. Eye tracking studies and heat maps repeatedly show that people look to the top left of a web page first. A clear heading that identifies what the page is about – that central topic we discussed above – is a sure-fire way of letting visitors know that they’ve landed on the right page for their query. The role of the H1 tag is to tell search engines what the main heading on the page says and, therefore, what the page as a whole is about. This helps the algorithms determine whether or not to feature a page in SERPs about the same topic. Sub-headings are a great way to break up long-form copy so that people can read a web page in detail or scan through the headings to get a gist of the content. As with the main heading, all sub-headings on a web page should be given appropriate heading tags, i.e. <h2>, <h3> and so on, to help search engines distinguish headings from body copy. H2, H3, H4 tags (etc.) can be used more frequently than H1 tags, but use them in a hierarchy – for example, use H2 tags to head up new sections, and H3 tags to indicate sub heads in each sections and so on. URLs should be meaningful and reflect the hierarchy of your website. 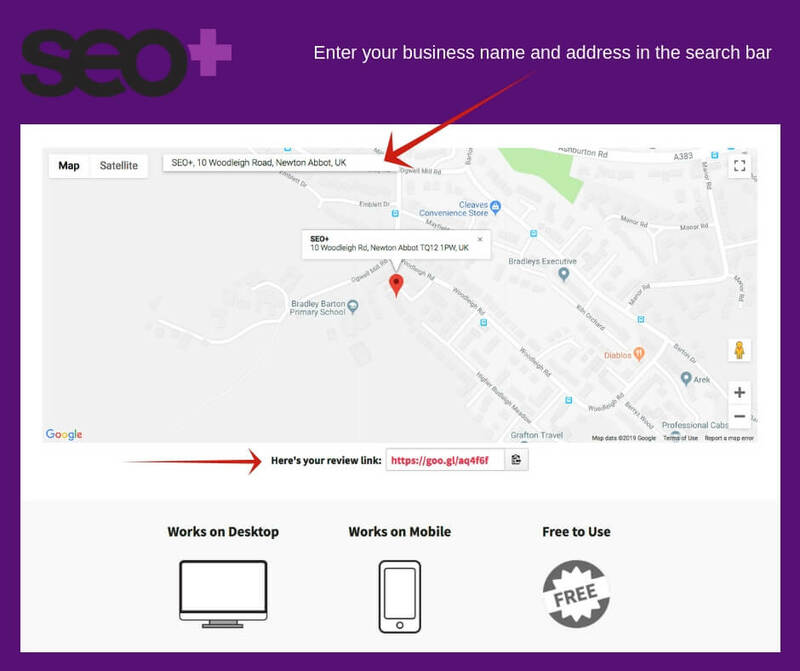 In the above examples, search engines (and users) can instantly conclude the SEO page relates to a service offering, and the SEO Tips is a blog post. By having a single focus/topic for each page of your website, it’s inevitable that your target keywords, phrases and related words will crop up. The key is to know what terms your audience will be using when talking about your products, services or things that are happening in your industry. One tip is to include your main focus keyword within the first 100 words of the body copy of a web page. This is another sign to users and search engines that the entire page is relevant to the search query. When you’re writing your introduction, it’s worth thinking about how you could make it more likely to be listed as a featured snippet on page one of a Google search – we’ve written a blog packed with hints and tips to help you with this. Although we mentioned above that long-form copy tends to rank better with Google, the very act of reading from a screen does make big chunks of body copy harder to process. While we’re on the subject of images, well-optimised web pages will often include a variety of media such as images, infographics, videos and diagrams. It’s important that these elements are properly optimised because search engines aren’t as clever at identifying and understanding images as they are text. You can find loads more helpful advice on this topic over on our blog about optimising the non-text elements of a web page for accessibility and SEO. Web page elements such as reviews, product descriptions, recipes, events, etc. can be hard for Google to spot. Check out our Schema made easy beginner’s guide for a comprehensive breakdown about applying Schema to your site. There are a number of reasons to include outbound links to external sources within your web pages. If you’re able to show where the information you’re sharing came from, it demonstrates to readers that you’ve done your research and have referenced credible sources to support your expert opinion. It’s also an excellent way to reach out to third party sites that you respect and may help you to attract backlinks to your content from them. Adding external links enables your audience to read deeper into a topic, making your content more valuable and in-depth because it’s supported by wider sources. If you have a blog on your website, the chances are that many of the articles complement one another or touch on related topics. Your blog readers will find it incredibly helpful if you let them know where you have related content about a topic because it will enable them to explore different aspects of their search query and develop their knowledge over time. As an example, you’ve come to this page to learn more about on-page SEO but as you get to grips with it, you may specifically want to understand more about how internal links work. By adding a hyperlink to the copy, you can go straight to our Ultimate Internal Linking Cheat Sheet without having to search the site for possible information. These days, more and more websites are using a Pillar and Cluster model (sometimes referred to as ‘Hub and spoke’) to organise content and make it easier to browse. With this approach the pillar/hub is a long-form article that gives a strong overview of a topic. 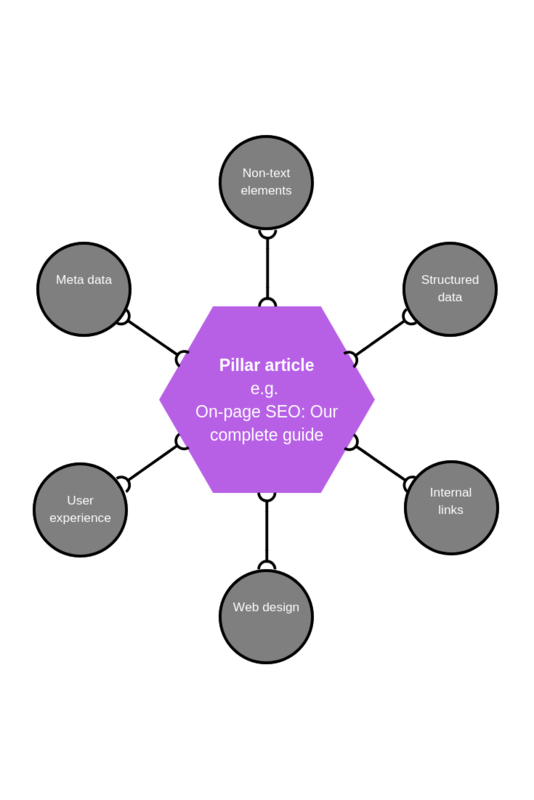 The article you’re reading right now is an example of a pillar article about on-page SEO! But, much like a table of contents, the pillar/hub article links to all the other content on the site that’s relevant to the main topic. These off-shoot articles – the spokes – cover sub-topics of the main pillar. The strength of this model is that, by linking to every spoke from the hub and then back to the hub from every spoke (and targeting a different keyword in each spoke article), link juice comes into the hub and spokes from every interconnected element. Each time a new spoke article is added, the hub should be updated to reflect this, which helps the content to stay evergreen and crawled regularly. Google rewards unique content. That said, there may be occasions where you need to have duplicate content on your website – this especially happens with product descriptions, for example. If that is the case, make sure you don’t get penalised and label your pages appropriately. Yoast does a great guide to using the canonical tab. We’ve also put together comprehensive advice about identifying and dealing with duplicate content. Although social sharing buttons on a web page aren’t a direct ranking factor, research by SEO platform BrightEdge Technologies found that their presence on articles can increase shares and mentions by a whopping 700%! In turn, this can put your content in front of new audiences and bring traffic back to your site from a wider range of sources. Google looks at factors such as your reputation and influence as signals around page and domain authority, with higher authority sites and pages ranking higher in searches. We love the Social Warfare WordPress plugin here at SEO+. These days, it’s essential that any website is multi-device friendly. 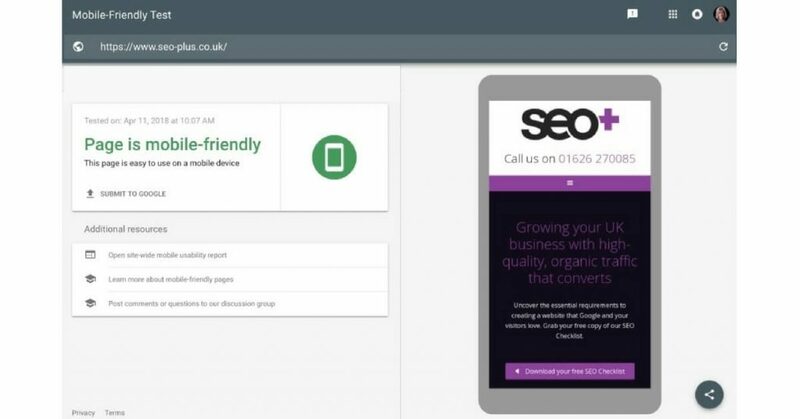 Google now prioritises mobile-first indexing to return the most mobile-friendly versions of websites in SERPs. Having a site that offers a poor mobile experience can damage your rankings. Responsive website design automatically resizes the content of a web page to fit the device being used – is your site responsive? Users get a better experience when a website loads quickly. As a result, one of the ranking factors Google uses is your page load speed. A “crawl error” relates to individual URLs that search engines can’t crawl (and therefore can’t index), or that return an HTTP error code. The Robots.txt file is a nifty tool that enables you to see which pages are blocked from being viewed by search engines. Remember, any pages that are blocked CANNOT be indexed (and so are unlikely to appear in the SERPS). There is a good reason for blocking certain pages – for example, admin pages or poor quality content – but core pages should NEVER be blocked and will harm your ranking if they are. SEO practices keep changing as Google gets smarter at eliminating loopholes and ensuring quality websites rise to the top. Success all starts with your content. Writing for users first and then Google will ensure your website is filled with the relevant information that will appeal to your target customer. And whilst outreach and link building remain important, if these external SEO strategies aren’t supported on-page, you won’t achieve the ranking you deserve. Which of these on-page SEO fundamentals have you neglected? Have you seen a boost in your ranking after checking off an on-page SEO basic that you’ve overlooked? Do you have any questions? I’d love to know what you think so please leave your thoughts in the comments below. We’ve created a handy SEO checklist to help you increase your visibility in Google. Download your free copy here and create a website that Google and your customers love. If you found this post helpful, we’d love it if you could share it – thank you! This article was originally posted in June 2014. We’ve updated it for 2019. Do you feature reviews of your business online? Not sure how to attract reviews or where they should appear to have the most positive impact? These will be your best brand advocates. Your review link will appear under the map. Copy the short URL to your clipboard. You can then share this link with customers in your emails, text messages, or even on printouts, and it will take reviewers directly to your review page. It was a pleasure working with you on your project. Thank you for your business. We aim to provide the very best service possible so we are always looking for ways to improve. Gaining feedback on our service helps us enhance your experience and helps to make our customers happy. We would love to hear your feedback. If you could take a minute or two to write a quick Google review for us we would be very grateful. Thank you for taking the time to leave a review, it’s very much appreciated. I look forward to reading your feedback. Your reviews will soon grow and help drive traffic to your website, increase your website’s ranking, boost conversions from clicks to sales, and help build your reputation.